Your are here because you LOVE to cook and LOVE to share recipes with friends and family. Your friends and family keep telling you to start a food blog and you have been thinking about this for some time but don’t know where you start. Stop thinking about it and let’s start your food blog today! Set aside 15 minutes and follow the three steps below and you will be up and running with your very own food blog today! This is really fun! You get to express yourself! What do you want your domain name to be? What is the theme of your blog? Mine is “Nurture My Gut” because it’s an allergy friendly blog. Brainstorm as many different ideas as possible. Once you’ve thought of some possible domain names, head over to Bluehost by clicking below to see if your domain name is available. You can select a domain name and get affordable hosting all through Bluehost. Hosting is like renting space on the web to display your blog. Bluehost has great rates and gives you your domain name for free if you decide to host with them. If you want faster speed, especially if you have an image heavy site like mine, then I highly suggest Siteground. This is who I upgraded with after my traffic went over 50,000 monthly page views. It helped my site load faster and tech support has been phenomenal! Once you’ve completed registration with Bluehost you will now need to go through the process of installing WordPress. WordPress is a blogging software. It’s the software that I use for NurtureMyGut. It’s super easy to use and install. Check the terms and conditions box and click the “Install Now” button. Once you get the message that says “Your install is complete!” Click on the “View Credentials” button and write down your Admin URL, Username, and Password. You can change these later, but you’ll need them for your first time logging in. Type your Admin URL into your web browser. You’ll see a login screen. Enter your Username and Password you copied down from from Step #4 . You’re now officially logged into your blog. Scroll to the left side of your blog and add a blog post by going to Post, then Add New. That’s it! Congratulations! 1. The Genesis Framework-This is what I have. It helps with SEO and is very user friendly. It is customizable and is very secure. 2. Next, you’ll also want to look into the available StudioPress Themes. If you select a studio press theme, you can get Genesis Framework included. You can also buy both separately, just be sure to login to studiopress so you get the discounted price. 3. My favorite is the Foodie Pro Theme. 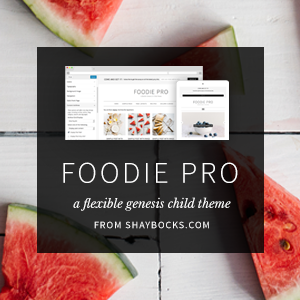 The Foodie Pro Theme includes Genesis Framework plus the Foodie theme. It is specifically for food bloggers making it easier for you and your readers. 4) Take Beautiful Images. Taking beautiful images is what will drive traffic to your blog. I have learned so much from Lindsay’s Tasty Food Photography E-Book. She breaks down how to take beautiful photos that will make people want to grab the food out of the page! 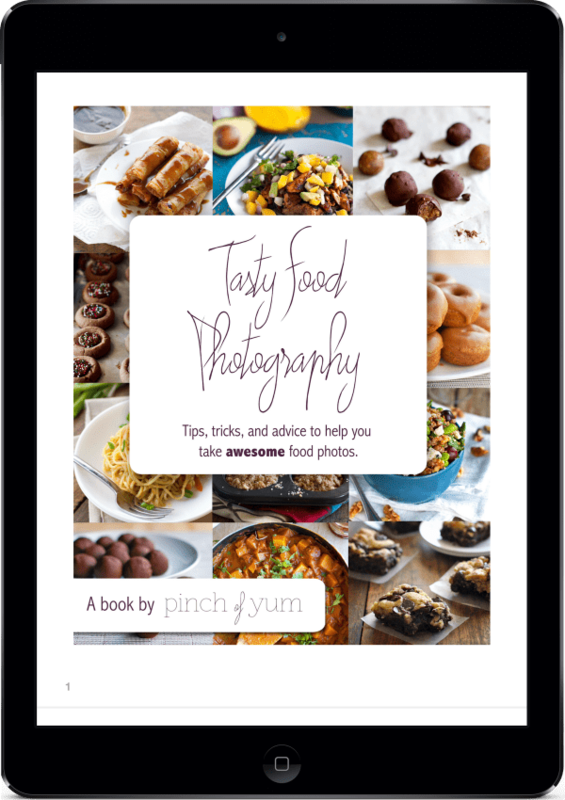 Over 7,000 have purchased her e-book and used it to improve their food photography. Click here to check out Lindsay’s – Tasty Food Photography eBook. 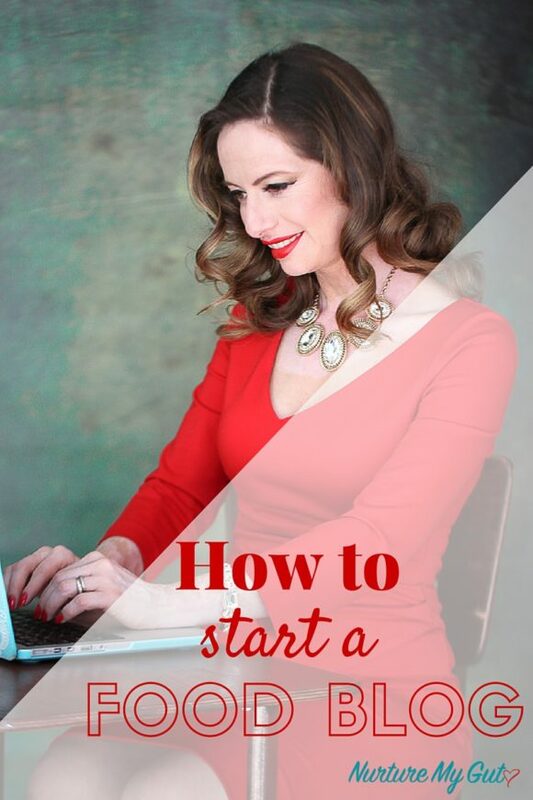 Learn how to Monetize your Blog with Chelsea Lord’s E-Book “How I Made $40K My First Year of Blogging. Click here to check out Chelsea Lord’s E-Book. After blogging for over 5 years, I wish I would have monetized from the beginning because I would have a full time blogging income by now. I am a big believer in doing what you love and earning a sustainable income. 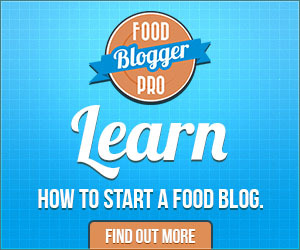 5) Great tutorials to grow your blog at Food Blogger Pro! Enrollment opens Nov.1-10, 2016! Don’t miss out! You did it!!! Congratulations!!! Welcome to the world of blogging!!! I would love to check out your blog! Email me a link when you are up and running!